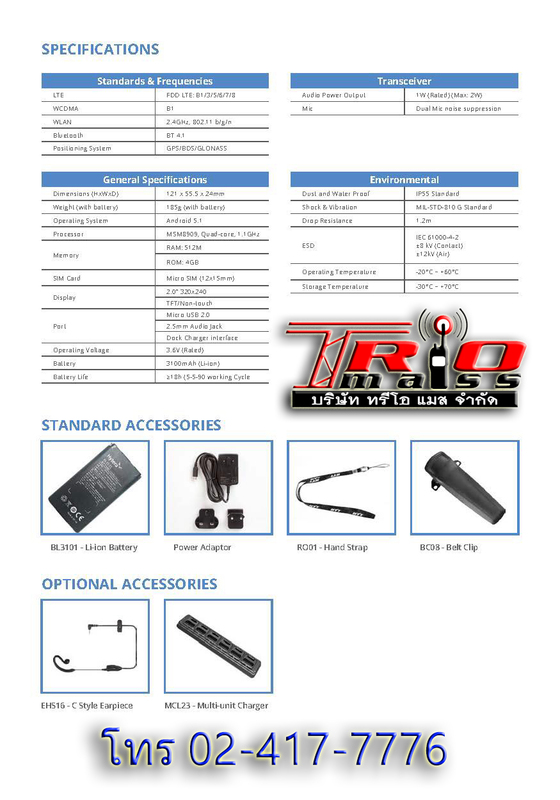 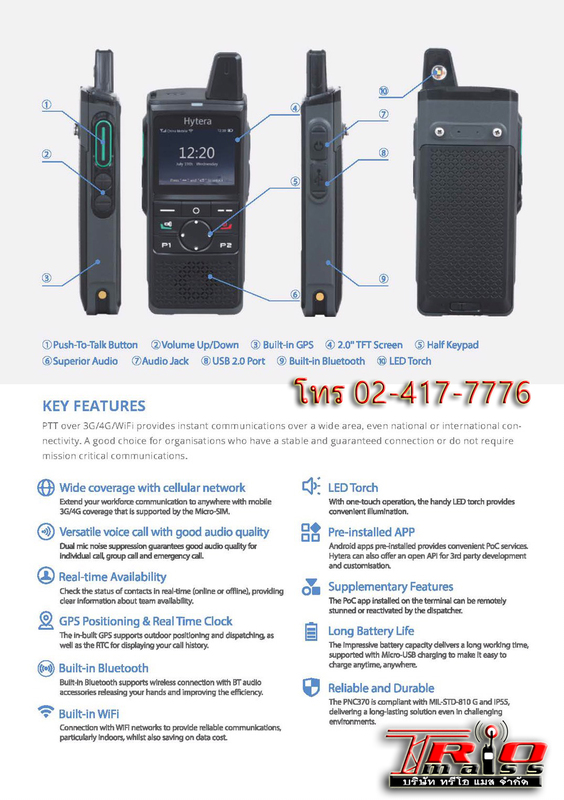 The PNC370 is a compact, easy-to-operate LTE handheld radio. 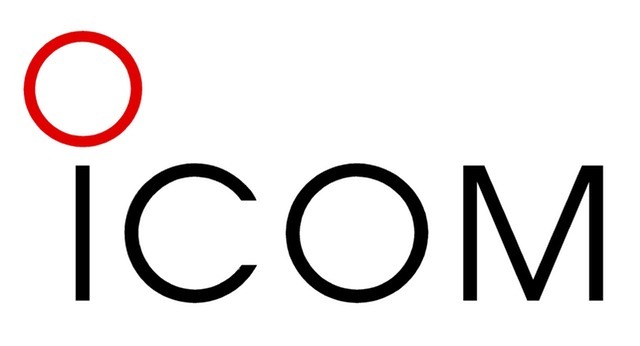 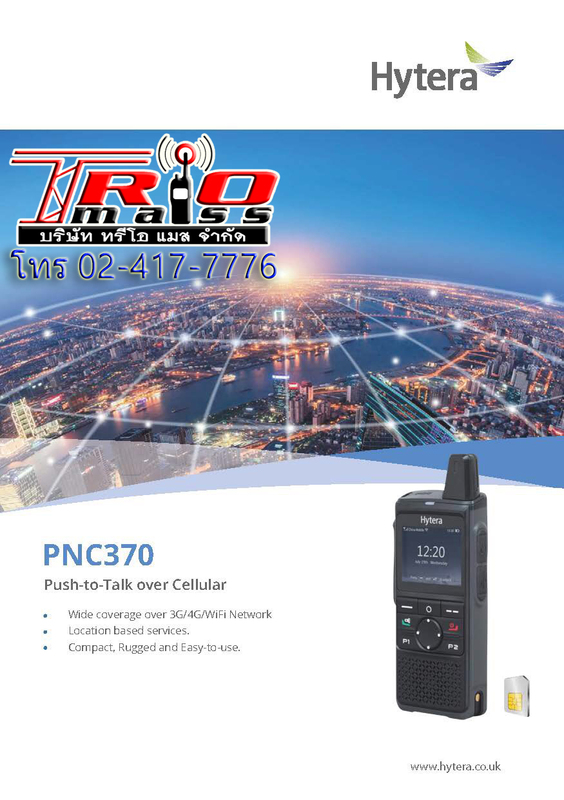 Thanks to PTT over Cellular (PoC), it enables fast voice communication and data transmission as well as a nearly limitless connection over LTE mobile radio networks (3G/4G) & WiFi. 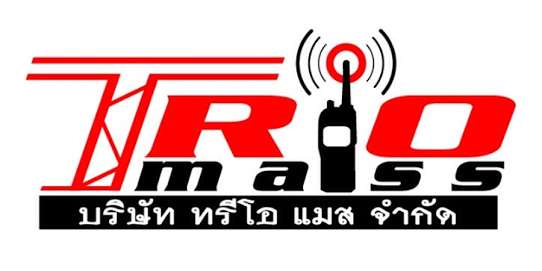 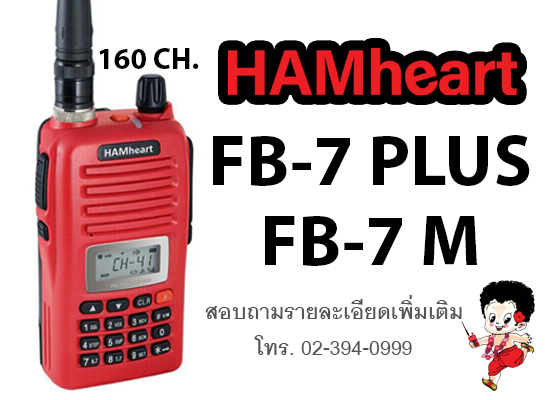 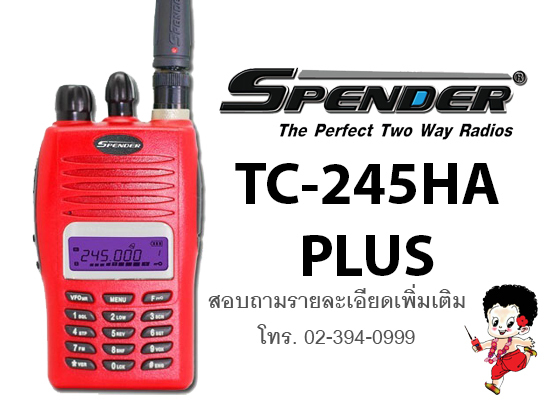 The innovative two-way radio is the ideal solution platform for a wide range of broadband applications, such as optimizing operating sequences, and combines all the advantages of professional mobile radio (PMR) with greater radio coverage and better audio quality.